Where Everyone Gets the Best Deal. Yes! That’s the AutoSource promise to our customer, to be a one price used car dealership. We think that everyone, regardless of their skill level of negotiating should still get the best deal on a used car of their choice. At AutoSource we do things differently. We’re all about being open and honest with customers to make sure we have the best price in America so they get the best deal on used cars. We offer a hassle-free way to buy by offering a no pressure sales experience and full transparency on all our cars. If you’re fed up with how typical used car dealerships have been treating you, we don’t blame you. Our philosophy of selling used cars is that customers are to be treated honestly and fairly and receive great prices in a straightforward environment so they can actually save real money. 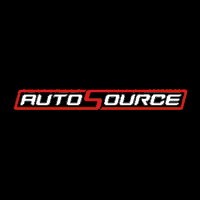 Our Passion at AutoSource is to achieve our vision of becoming the absolute leader in the rebuilt restored title industry by delivering unparalleled value to our customer. We push the limits to share the secrets of how to save real money to get a better car for a better life. AutoSource believes your shopping experience should be positive and fun. This is why we have a hassle-free price which is clearly displayed on every one of our vehicles. It puts you in control of the buying process and expedites the purchase process getting you on the road in much less time. We research similar vehicles in our marketplace to make sure the hassle-free price is competitive and priced to sell the vehicle quickly. We believe a customer should not have to spend hours negotiating to get a great deal. We don’t believe in back and forth old school frustrating car selling tactics. Our sales people are unlike any in the automotive industry. Their job is to assist our shoppers in choosing which car is best for them. The experience of shopping at an AutoSource store is different. We offer a surprisingly unobstructed ability to explore cars on the lot where you can learn about features and differences between brands, models, & trims. Once you have found the right car we make sure it’s affordable. AutoSource gets most of our business from repeat and referral customers because they are raving fans and get the buying experience of their dreams. You will find no better value anywhere. Dollar for dollar you are getting the highest quality car for your money. We have a strict selection process. We don’t sell the full range of rebuilt restored when it comes to branded title vehicles – with some being fully repaired and others only “just enough” to sell. Every branded title vehicle that we sell meets or exceeds our stringent safety and quality standards. If you’re willing to shop smart, you can get a better car than you think. Like the experience of buying a car again and have the confidence to know you got a great price. Every vehicle passes our strict 151 point inspection. The inspection documents are freely available for your review. We hand pick only the best used vehicles with a history and inspect them through a 151 point inspection. All vehicles pass and exceed our stringent quality and safety standard. The state also passes our vehicles for road safety and quality. Can I get a CarFax?